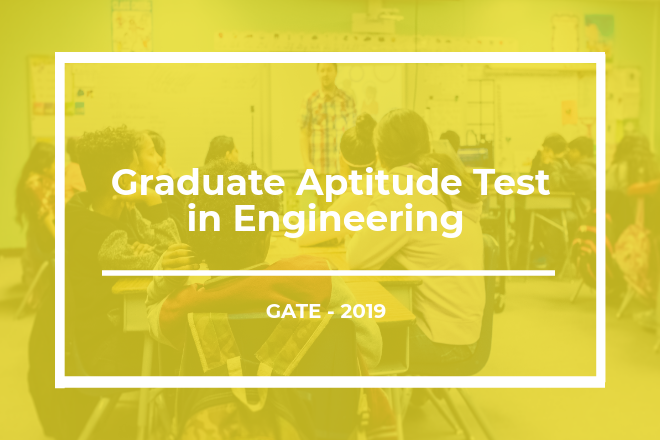 Graduate Aptitude Test in Engineering (GATE) 2019 will be conducted by Indian Institute of Technology (IIT) Madras. The institute has released the complete schedule of GATE 2019 on their official website. GATE is conducted online and is important for candidates willing to pursue Masters and Doctoral courses in several branches of Engineering and Technology in the IITs, IISc and other institutes in India. GATE 2019 is scheduled to be held on February 2, February 3, February 9 and February 10. GATE 2019 Admit Card has been released by IIT Madras on January 4, 2019. Candidates can download the admit cards through the GOAPS portal, using their enrolment ID and password. The admit cards will not be delivered to the candidates individually or by post or any other way. The score of GATE 2019 will be valid for three years from the date of publication of result. The result of GATE 2019 will be released on March 16, 2019. Along with the schedule for GATE 2019, IIT Madras has also released the list of candidates whose applications have been rejected for GATE 2019. Candidates not meeting the eligibility criteria and/or submitting a duplicate application for the same paper are rejected by the conducting authorities. The enrolment IDs of rejected candidates have been released in two separate lists. IIT Madras has also released the list of applications selected provisionally and has notified candidates to rectify them by February 15, to prevent their results getting withheld. Candidates have to appear for GATE 2019 with their admit cards along with one Photo ID proof like PAN Card, Voter Card, Driving License, Aadhar Card, Employee ID, Passport etc. Candidates who need to opt for scribe can request for the same via email to gate2019@iitm.ac.in . The last date to request for a scribe is November 16, 2019. GATE 2019 will be held in two shifts on all the allocated dates. The exam will be conducted on 24 subjects. Candidates can apply for anyone subject each. The complete schedule of GATE 2019 is given below. Tentative date of Counselling – 1st week of April 2019.